TNR -- TV News and Reviews: 'Nashville' Recaps, Season 1 Here! Connie Britton and Eric Close star in "Nashville." Top-level acting, fast-paced storytelling, and some darn good country music elevate "Nashville" from mere melodrama to seriously fun, quality TV. "Nashville" episode "I Can't Help It (If I'm Still in Love with You)" turned up the heat on our love triangles, throwing temptation and increasingly romantic duets in their paths to heartache. Rayna's conflicts over money, family, and her career boil over in "Nashville" episode "Someday You'll Call My Name." Meanwhile, Juliette faces disappointment from both Deacon and her mother. Episode 4: Will Juliette and Rayna ever tour again? "Nashville" began with two country stars who didn't want to tour together. Now it looks like neither one will be touring at all. In this week's "Nashville," Juliette struggles with her mother's relapse, Scarlett sees Avery's jealousy and ambition clearly for the first time, and Teddy's campaign goes negative. "Nashville" episode "You're Gonna Change (Or I'm Gonna Leave)" puts shaky couple Avery and Scarlett to the test, while Juliette's PR penance just might land her in a decent relationship. In "Nashville" episode "Where He Leads Me," Juliette decides to get herself a new family, Deacon gets a golden opportunity, and Rayna finally learns the truth about Teddy and those photos. In our latest "Nashville" recap, Avery learns that stepping on people on the way to the top has consequences, Juliette's elopement isn't all that she thought it would be, and Rayna tries to keep her marriage from completely disintegrating. "Nashville" episode: "I'm Sorry for You, My Friend. As much as she tries to run, Juliette finally has to face the music on her flight from the altar, and Rayna learns that replacing Deacon on tour isn't as easy as she thought it would be. In "Nashville" episode "You Win Again," Juliette feels she's being ignored and belittled on the joint tour, Deacon suffers depression after quitting from the band, and Rayna gets wooed by another record company. Episode 12: Is it the end for Rayna and Teddy? In "Nashville" episode "I've Been Down That Road Before," Deacon causes more tension between Rayna and Teddy, and fires Juliette up about transitioning from pop diva to serious country music star. In "Nashville" episode "There'll Be No Teardrops Tonight," Rayna faces the stress of her divorce and gets tempted by Liam, while Juliette tries to take over her own tour. In "Nashville" episode "Dear Brother," Rayna and Teddy deal with tabloid fallout from their divorce, Juliette plans a party for Deacon, and Gunnar faces off with his gun-toting brother. In "Nashville" episode "When You're Tired of Breaking Other Hearts," Juliette turns a 50-person concert into a fan mob scene, and Rayna's troubled daughter Maddie gets caught up in the stampede. In "Nashville" episode "I Saw the Light," Juliette continues her selfish ways, Rayna tries to talk her daughters out of being musicians, and Avery is forced to leave town. In "Nashville" episode "My Heart Would Know," Rayna learns more about her mother's affair, Dante takes over Juliette's life, and Scarlett tries to celebrate her record deal with an emotionally struggling Gunnar. "Nashville" episode "Take These Chains from My Heart" has love triangles galore, with new and old flames, and romance from unexpected sources. Meanwhile, Dante and Tandy do some serious scheming. In "Nashville" episode "Why Don't You Love Me," Juliette suffers from the after-effects of Dante's betrayal, but it may not be over yet. 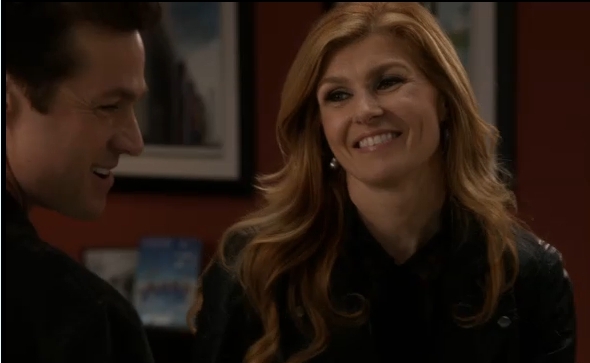 Rayna is troubled by the secret she must keep from Deacon. In "Nashville" episode "A Picture from Life's Other Side," Teddy takes his anger over Rayna's relationship with Deacon to the courts. Meanwhile, Jolene decides to solve Juliette's blackmail problem herself. In the "Nashville" finale, "I'll Never Get Out of This World Alive," Juliette finds out the truth about her mother's death, Teddy gets shocking news, and Deacon falls off the wagon.